Caribbean Coconut handmade, artisan soap is a true tropical delight with the most creamy coconut! A tropical scented soap that will remind you of faraway tropical beaches. Buy a bar as a unique gift for any occasion. 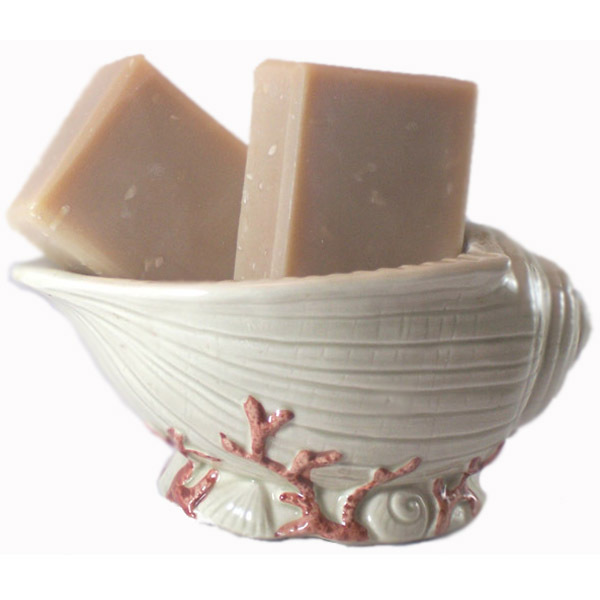 Caribbean Coconut handmade, artisan soap is a true tropical delight! It is made with the most delicious coconut fragrance that I could find. This is a fresh and creamy scented soap that will remind you of faraway tropical beaches. This bar is made with skin loving oils like coconut, olive, palm kernel and castor. My soap formula uses natural oils and butters so it creates lots of creamy and silky bubbles. This soap is suitable for any skin type. It’s mild enough for sensitive skin, cleans normal skin gently but thoroughly and nurtures acne prone or mature skin. My newest soap batch is a little lighter than pictured. Take this soap with you into your bath or shower and you may think that you are on a faraway tropical island with palm trees swaying in the gentle breeze. Buy this luxurious coconut handmade soap and you won’t go back to store bought. All my handcrafted soaps make nice gifts for any occasion including birthday, Mother’s Day, Father’s Day, wedding or a baby shower. Ingr: Olive oil, Coconut, Palm Kernel, Mango Butter, Castor oil, Soybean, Sodium Hydroxide, Beeswax, fragrance Titanium Dioxide.